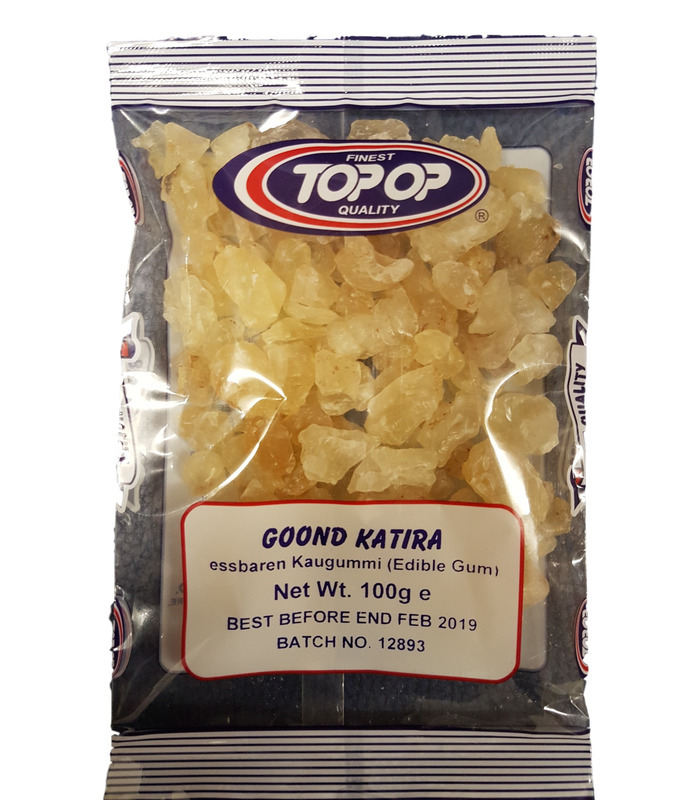 Kateera Gond, also known as Katira Gond or Tragacanth gum is natural, edible gum that is native to Iran, Asia and the Middle East. It is a sticky, pale yellow gum obtained from sap. 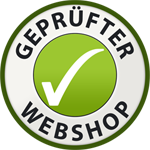 Uses - It is a food additive that can be used as a thickening agent in sauces, ice cream etc. It is also a binding agent - Kateera Gond is also used in the cosmetics industry. - Its most common use in India is in several ghee-rich sweets like laddus that are made from wheat flour and dry fruits. - It is said to be beneficial in topical treatment of burns. - It is also considered a laxative. In winter, Gond can be used by frying it, thus releasing heat. In summers, soaking it in water creates a cooling effect which is said to provide protection from heat strokes. So it is a good addition to the diet all year round. Read more here . 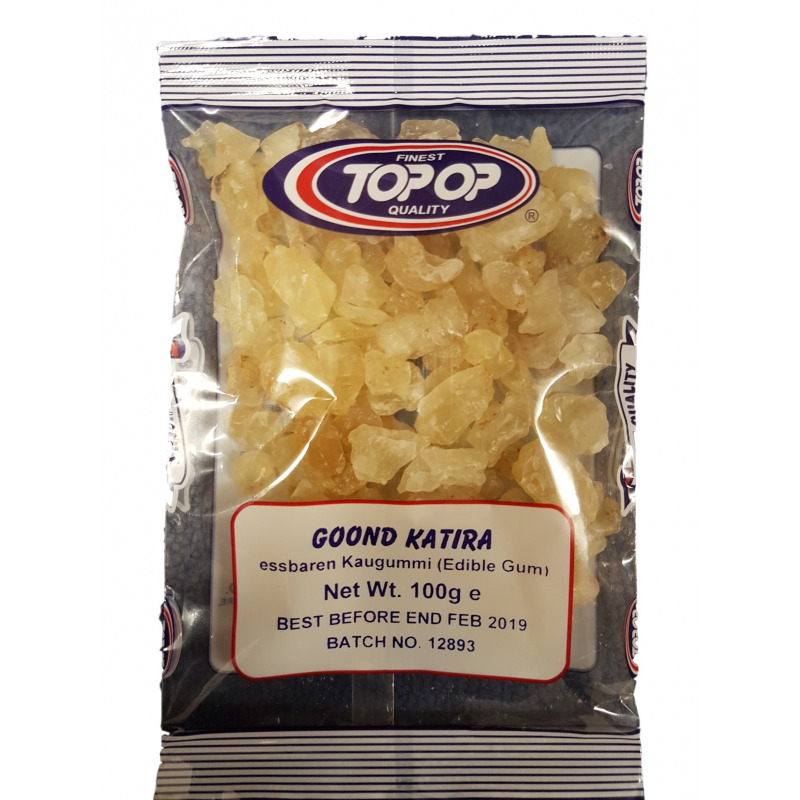 Kateera Gond, also known as Katira Gond or Tragacanth gum is natural, edible gum that is native to Iran, Asia and the Middle East. It is a sticky, pale yellow gum obtained from sap. - Kateera Gond is also used in the cosmetics industry. - Its most common use in India is in several ghee-rich sweets like laddus that are made from wheat flour and dry fruits. - It is said to be beneficial in topical treatment of burns. - It is also considered a laxative. In winter, Gond can be used by frying it, thus releasing heat. In summers, soaking it in water creates a cooling effect which is said to provide protection from heat strokes. So it is a good addition to the diet all year round.